A Rose in the Twilight Arrives Today on PS Vita and Steam! | NIS America, Inc.
Home / Blog / A Rose in the Twilight Arrives Today on PS Vita and Steam! Hi there, dood! This is Jupy, and I’m pleased to announce that our puzzle platformer A Rose in the Twilight is now officially here! You can now get the game digitally on PSN and Steam! 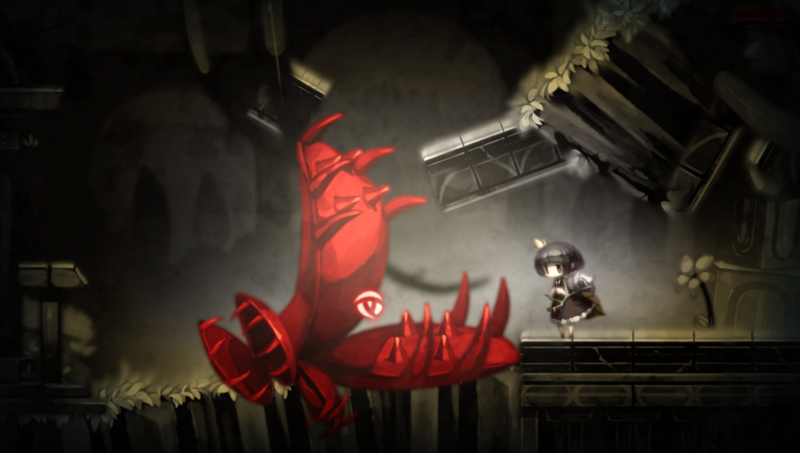 You might be asking yourself why this game looks oddly familiar to another game we published a little while back called htoL#NiQ: The Firefly Diary. That’s because they’re by the same creator! However, while the artistic style is strikingly similar, the two games are different in many ways. Let’s dive in and check it out! A Rose in the Twilight begins in the depths of a dark, ominous castle devoid of time. There, you find a little girl named Rose, who has a beautiful rose wrapped around her. This is known as the Curse of Thorns, and Rose, although cursed, possesses the power to control time by absorbing or injecting blood into various objects. And as if all of this wasn’t already a shock to Rose when she awakens, she also meets a round giant who accompanies her on her journey. Using some excellent teamwork, the two unlikely partners will navigate the treacherous castle grounds and find a way to escape. What’s so intriguing about A Rose in the Twilight is just how many mysteries lurk in the somber, empty castle. As you venture deeper and deeper into the darkness, Rose will come across Blood Memories. These memories come from the blood of the dead, and as the journey progresses, more and more Blood Memories will fill in the gaps and reveal some gruesome secrets. See that woman impaled by thorns in the screenshot above? I wonder who she is? In addition to Rose’s special Thorn Power ability to absorb and give blood as a means to control the flow of time in the castle, her companion, the giant, can assist her whenever necessary when traps and roadblocks come her way. Falling boulders, bone-crushing traps, and many other dangers are no match against the giant’s body, and it’s with his help that Rose will be able to reach places that are inaccessible on her own. 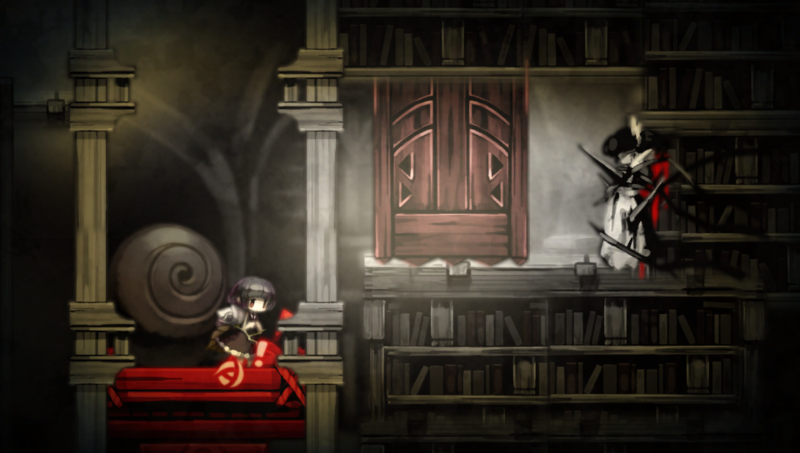 As a puzzle platformer enthusiast, I am thoroughly excited for A Rose in the Twilight. 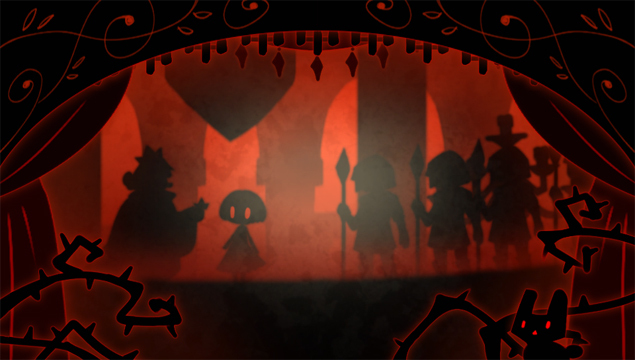 It combines dark and gruesome themes with a cute twist, and the puzzles really let your brain get some intense exercise! To learn more about A Rose in the Twilight, you can visit the official website here. We hope you enjoy our latest game on the PS Vita or Steam! Until next time, dood!